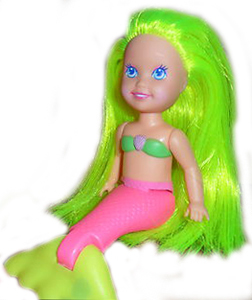 "Beautiful mermaids love to play in or out of water!" 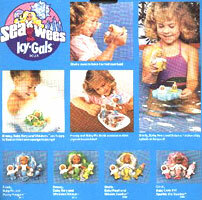 Sea Wees were produced by Kenner from 1979-85. 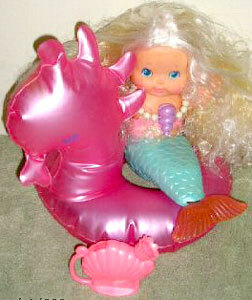 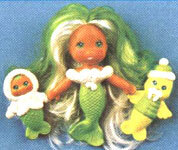 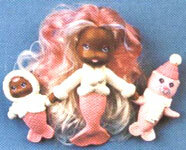 They were a series of 4 inch plastic mermaid dolls with 2 inch babies made for playing with in the bath. 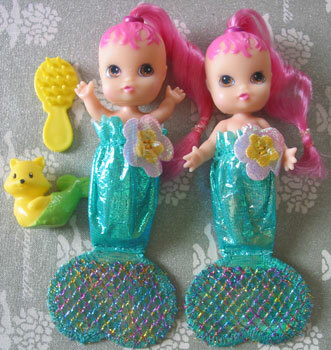 Each doll came with a flat sponge with one, two or three wholes in it which the dolls could fit into in order to float. 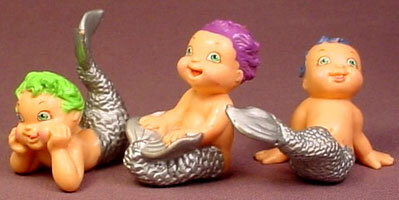 View all Sea Wees on eBay.com or eBay.co.uk ! 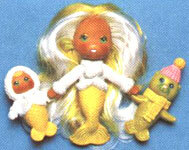 "Sea Wees are up to some Arctic antics with their brand new line of Icy-Gals! 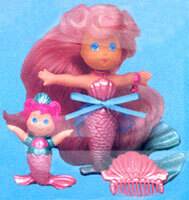 Another adorable collection of Sea Wees dolls that little girls will love. 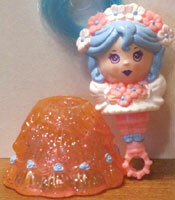 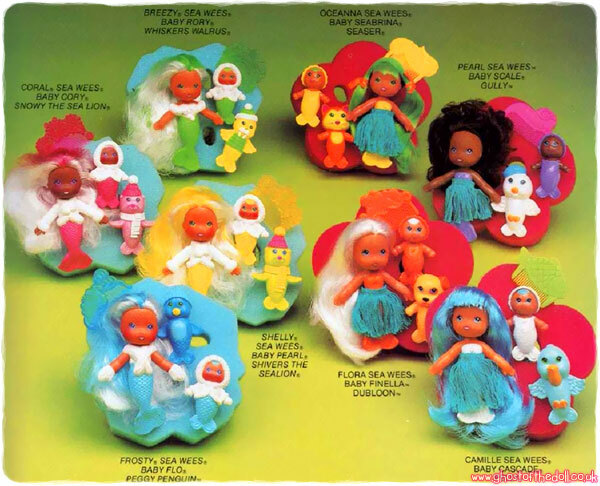 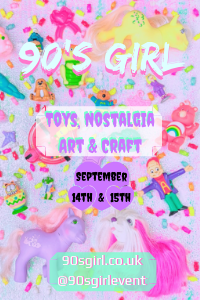 Each Icy-Gals doll had the same beautiful and unique combable hair Sea Wees are famous for, plus special comb, baby, sea pet and floating iceberg-shaped sponge with die-cut holes so all can float. 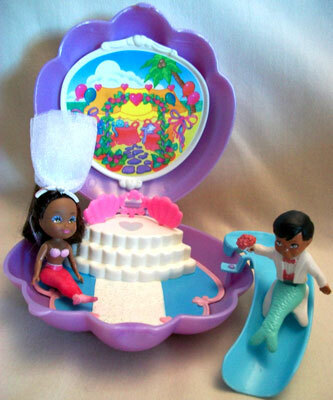 Fun in and out of water." 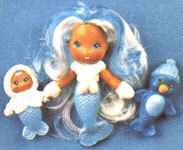 There were four sets in the Icy-Gals series, which included mother, baby and pet. 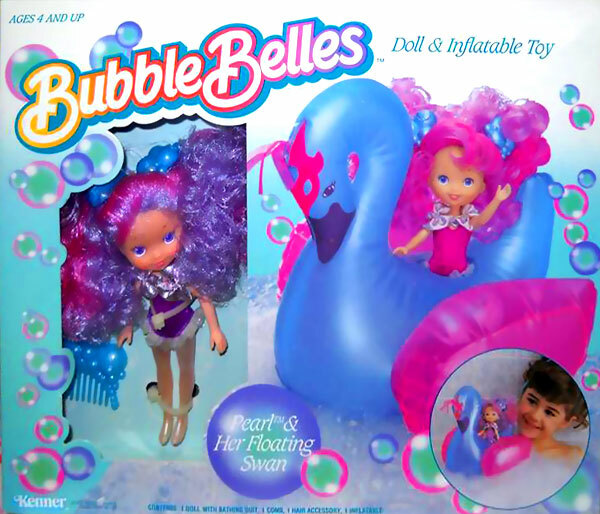 Each one came with a comb and iceberg sponge. 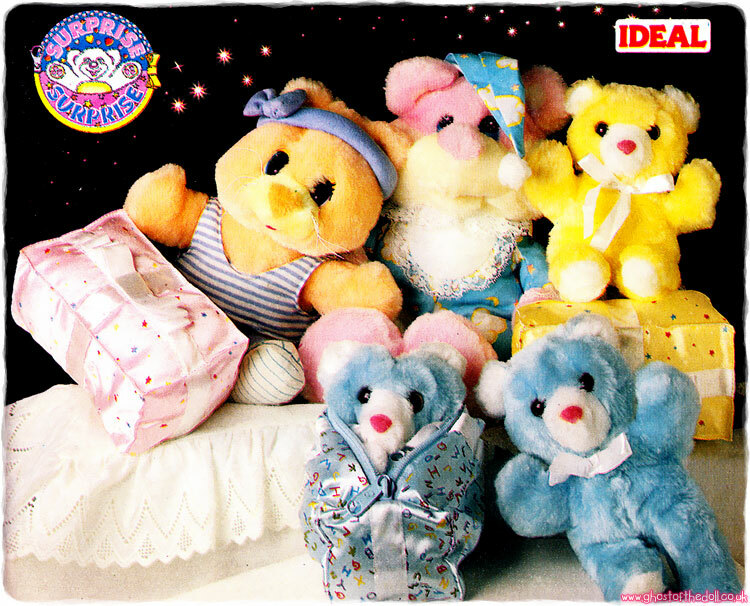 This catalogue image shows a mixture of Icy-Gals and TropiGals.